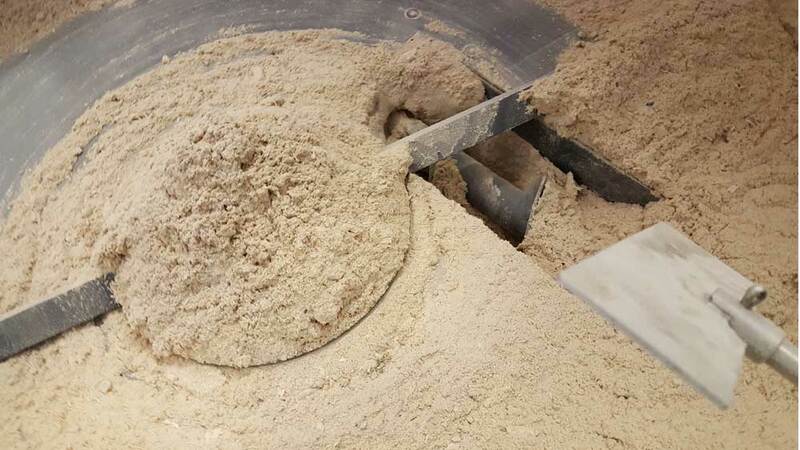 With the hydraulic briquetting presses of the series MMP, wood chips, dust and chips,also from various other materials such as straw, miscanthus, peat, paper, cardboard, plastics, etc., can be pressed into dimensionally stable, cylindrical briquettes. The machines are CE-compliant and are characterized by a solid construction, which guarantees a consistent briquette quality in continuous operation. The briquettes are produced exclusively with extremely high pressure without the addition of binders. The volume of the starting material can be reduced by up to 90% depending on the material. The granule size of the starting material has to be smaller than 2cm. The maximum material moisture content must not exceed 18% Atro. The standard silo has a filling volume of one cubic meter. 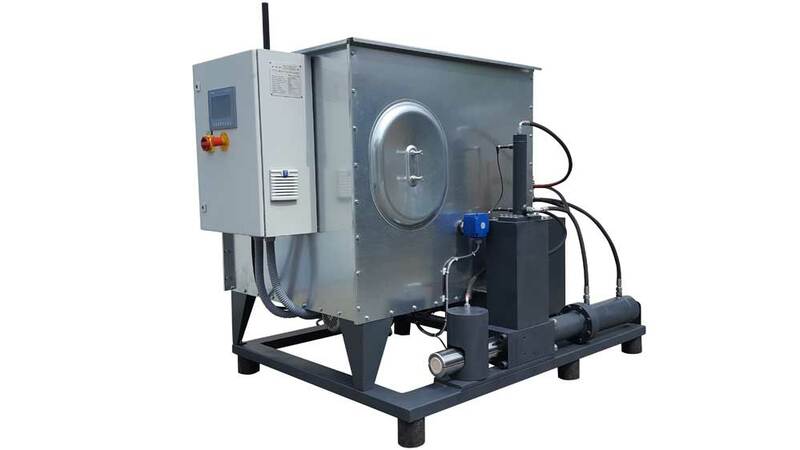 Silos with larger filling volumes or special containers built as a substructure under an existing suction and filter system or as a complete disposal unit with dedusting plants –approved for interior installations - are also available. The briquetting presses of the series MMP are designed for the production of briquettes from heterogeneous starting material, e.g. dust, woodchips etc. The stroke length is monitored via a special weighing system installed in the main press cylinder. 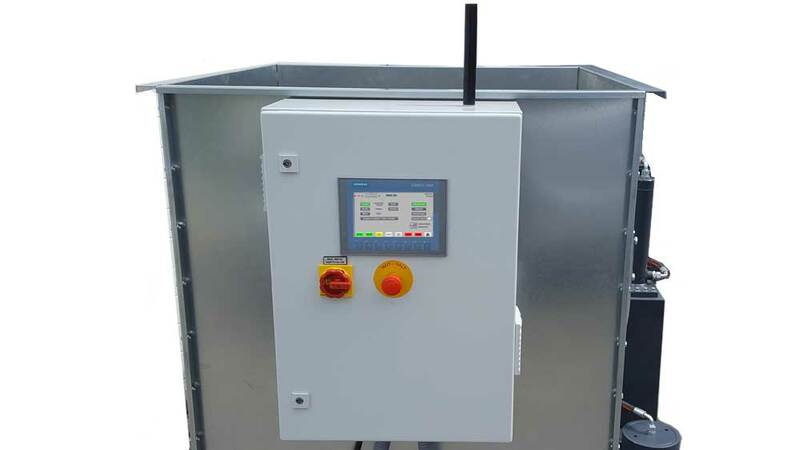 The built-in Siemens PLC control evaluates the data and controls the briquette length over the duration of the pre-compressing compactor screw (too long briquettes means less material, too short briquettes means more material). The optimal briquette length is 50 mm. The PLC controller also provides many additional information, e.g. temperature of hydraulic oil, number of manufactured briquettes, operating hours counter, fault analysis, etc. 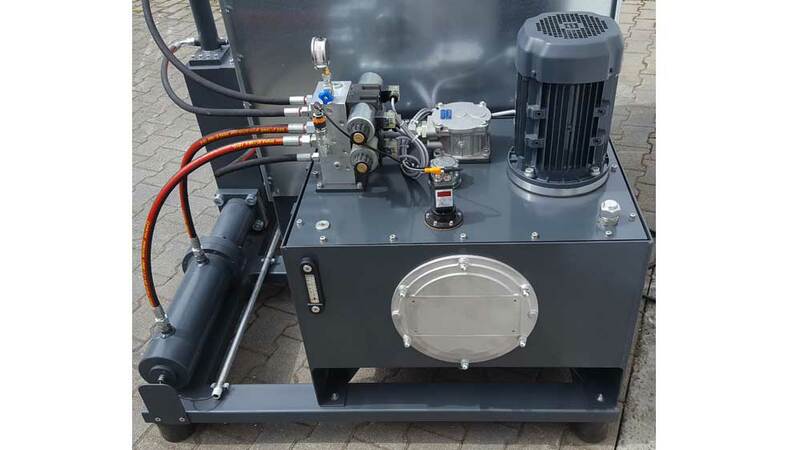 The energy efficient hydraulic system with a tank volume of 160 liters allows long operating hours without an additional cooling unit.